It’s getting nice and warm and that means it’s time for Popsicles! I love Popsicles. Like, love love them! I could live off of them. Since we live so far away from a store, the only ones that we will be able to enjoy is the freezer pops. My kids always complain about it being cold on their hands, so I made them some holders to help keep their hands warm. This is the major reason why I made them, they always ask for a paper towel to wrap around it. With 4 kids and them having 2 to 3 Popsicles a day, it really starts to add up and costing. I took some felt and cut a piece 4×6 inches. I folded it in half and sewed the three sides. I didn’t even flip it inside out, I just let the stitch on the outside. This could easily be done with a glue gun too. Insert a Popsicle and that’s it! Super easy and quick, only took 5 minutes to make these 4. I wanted to make some more fun ones, so I made one to look like a sword. I cut two little strips and then cut a hole in the middle of the 4×6 piece. Stuck the small pieces in the side and then sewed it altogether. Fun huh? My boys loved it! Of course with my Star Wars loving boys, I HAD to make ones that looked like light sabers. I just made the holder out of black and then glued the other pieces onto it. And for my little girl, she needed something a little more girly. So she got a wand. I put the ric rac into the felt and sewed it into the holder. A fun way to enjoy Popsicles. I will be using these too, because I don’t like my hand to freeze either. I found some fun patterned felt and made some with it, love how they turned out! My kids enjoying a yummy treat on a warm (and windy) day. And you better believe I enjoyed a couple Popsicles while making these!! 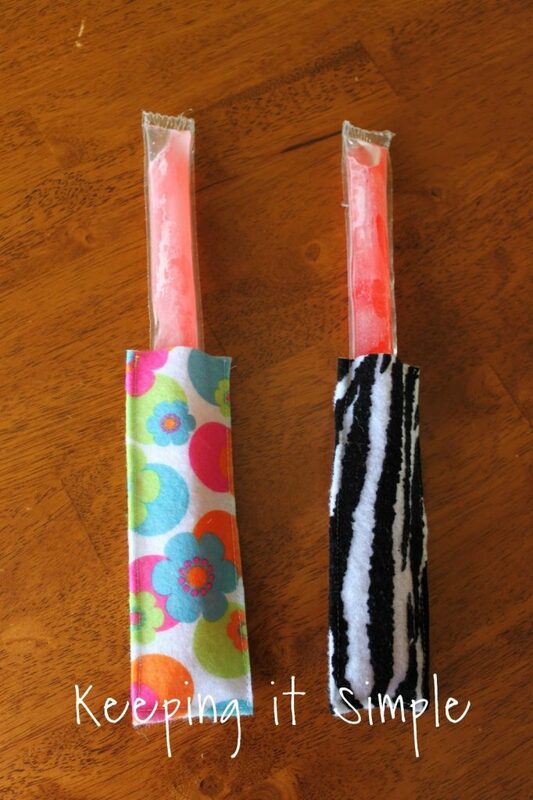 These are perfect for frozen Gogurts too! What a good idea! I love how cute these are and that they're reusable. My kids always need a paper towels for these popsicles too. I loooooove it! I gotta do this for Emma!… She will soon be having those!!! What a clever idea! I would love for you to share this on my Sweet Tooth blog link party. see, now where was this when we were little, lol. you should totally patent that! What a great idea for the summer! I know I would need like 50 of these! Thanks for sharing. Brilliant! Just pinned it and plan to have my daughter help me make some next week. Love the light saber ones. This is too cute! A must have for summer! I LOVE this idea! I'm always wrapping our frozen gogurt & ice pops in paper towels – this is SO much better (and eco friendly ;)! Genious! This concept is brilliant! How many times have my kids given up on eating a popsicle because their hands are freezing! 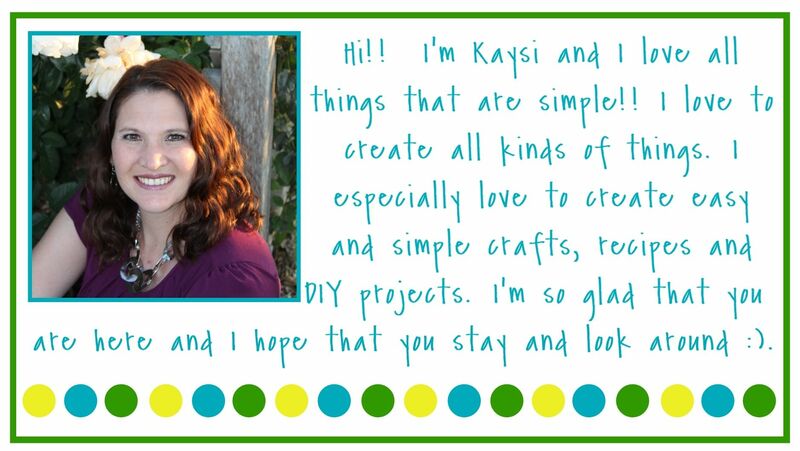 :) Thank you so much for sharing at our Simply Create Link Party!! Oh my goodness, you are brilliant woman! My kids NEED these! I love that you used felt – so easy. And the lightsabers would be a huge hit around here. Thanks for the inspiration and for sharing at Weekend Wander. These are definitely going on the to-do list this week! Thanks for link up to Sweet Tooth Tuesdays! These freezer pop holders are one of the features I'm sharing this week! If you'd like, you can stop by and grab your featured button. I'd love it if you would link up again this week, I can't wait to see what everyone shares. I'm totally making those light sabers!! I made these tonight and my boys loved them! Thank you so much for the great idea. Thanks for letting us share this with our fans!